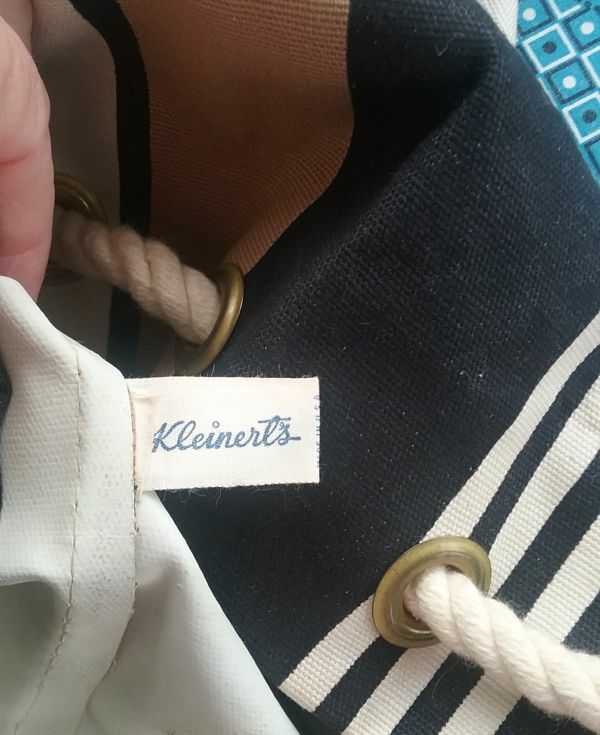 Things seem to come in bunches, as I recently found two really great Kleinert’s beach bags from the 1960s. 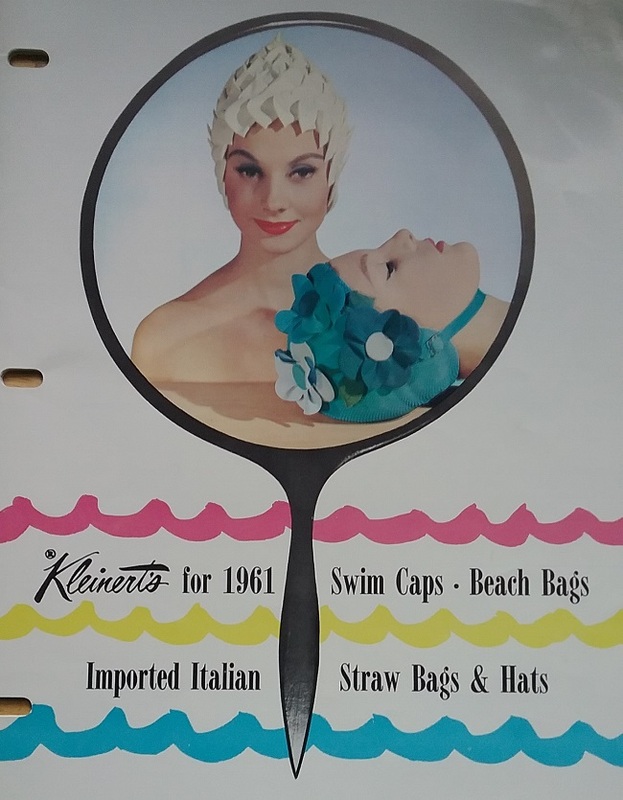 Kleinert’s was/is a maker of rubber products, and so was a big player in the swim accessories market. I’ll share more about the company at the end of this post. 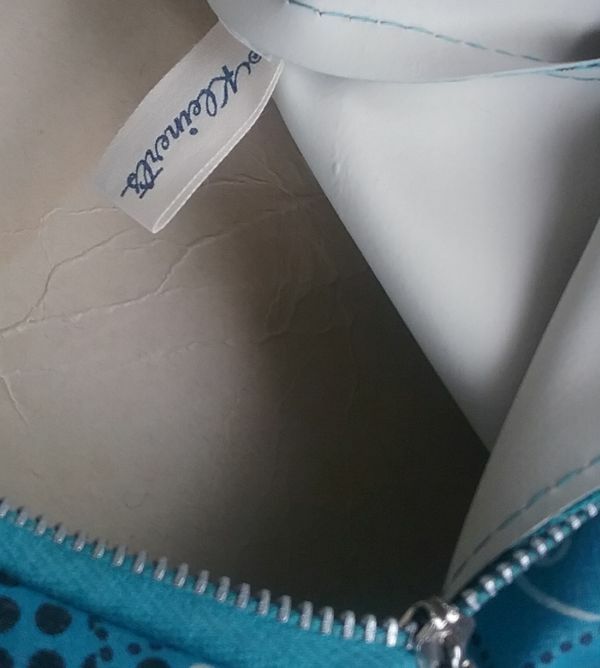 The bag above is canvas that has a layer of rubber fused to it. You can see it on the left along with the label. 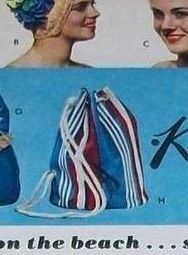 This bag dates to 1963. 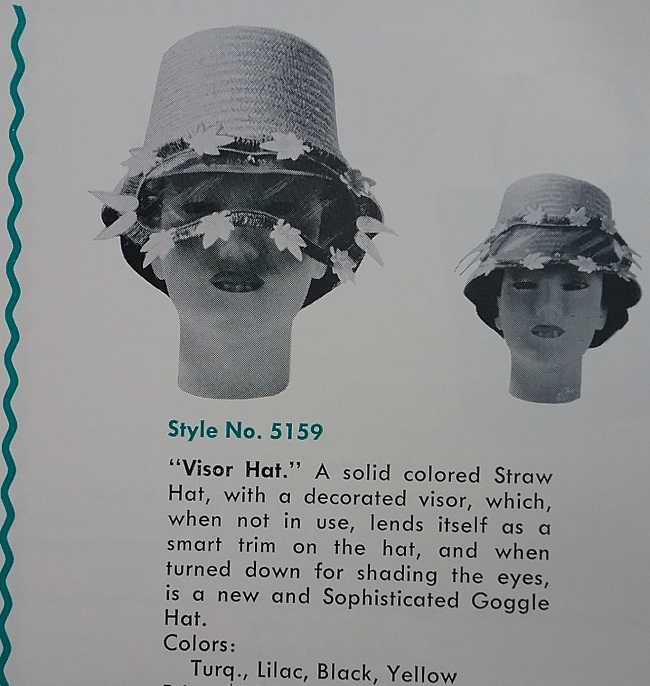 I can say that with certainty as I found it in a catalog from 1963. 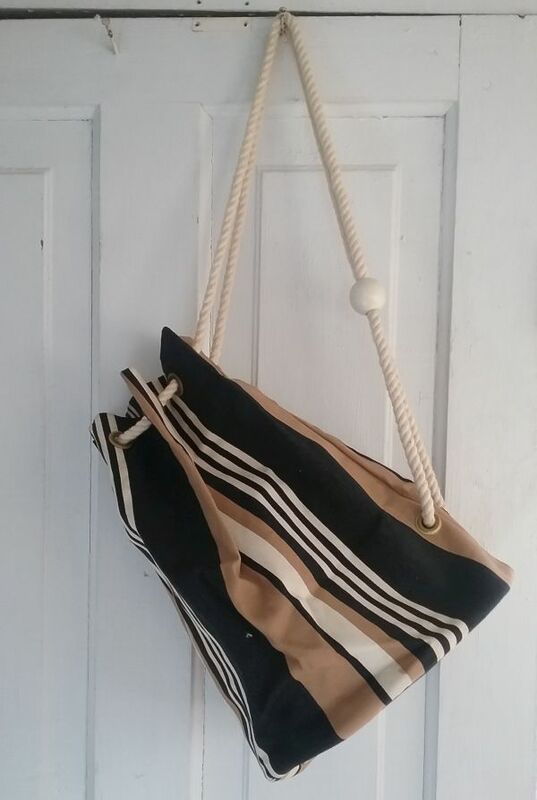 In the description it is mentioned that the bag was also available in black, white, and tan. 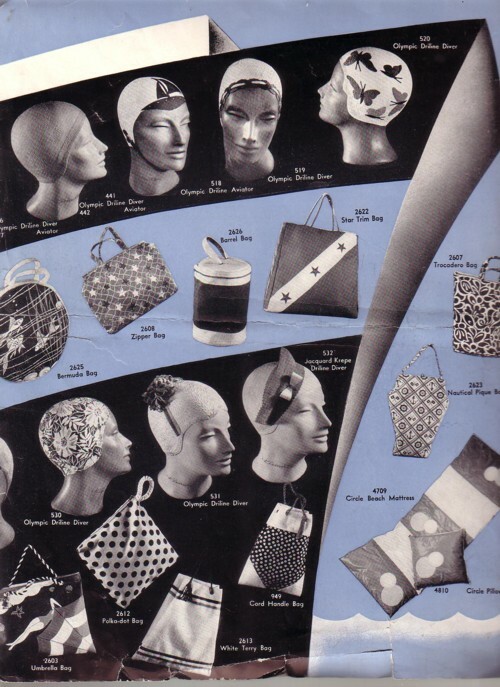 The second bag is, according to my guess, a bit older, and may possibly date from the late 1950s. 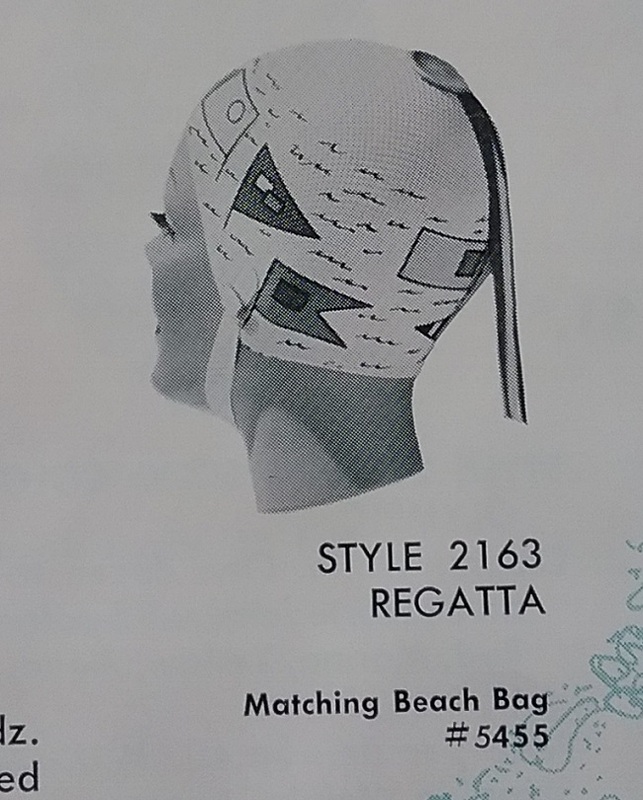 I love the design of this one, and the fact that it was never used and still has the hangtag. 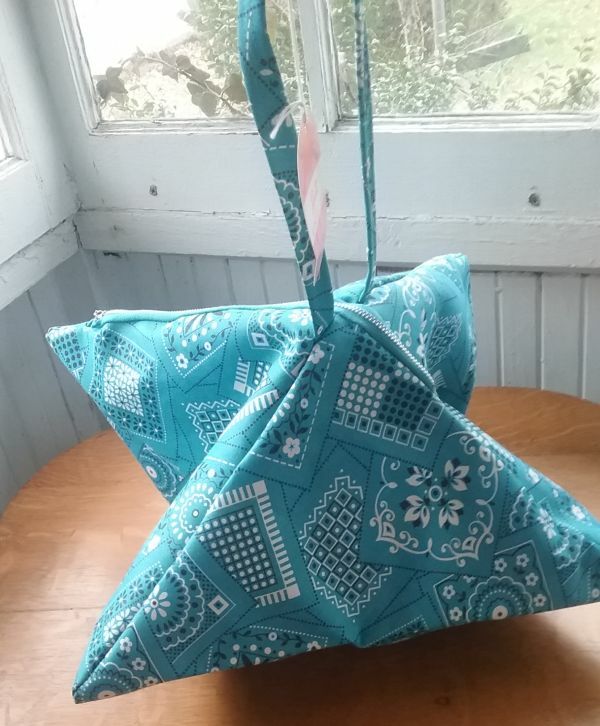 When not in use, this bag stores flat. When being used, it takes the shape of a diamond. 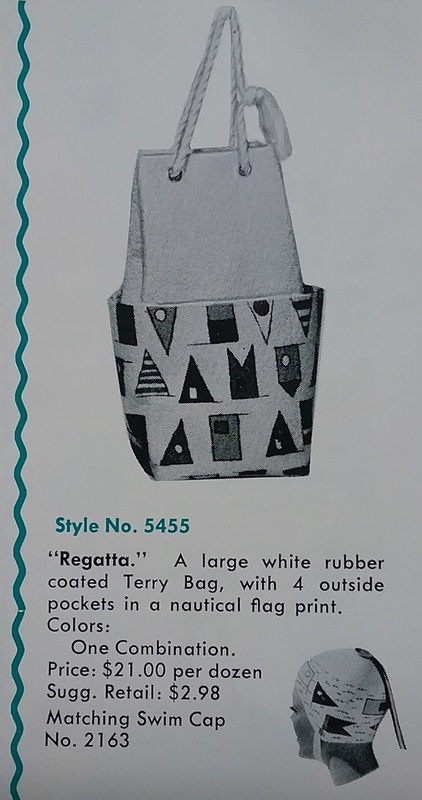 The tag had a great late 50s or early 60s look. When was orange combined with pink hip? That might help nail down the date on this one. 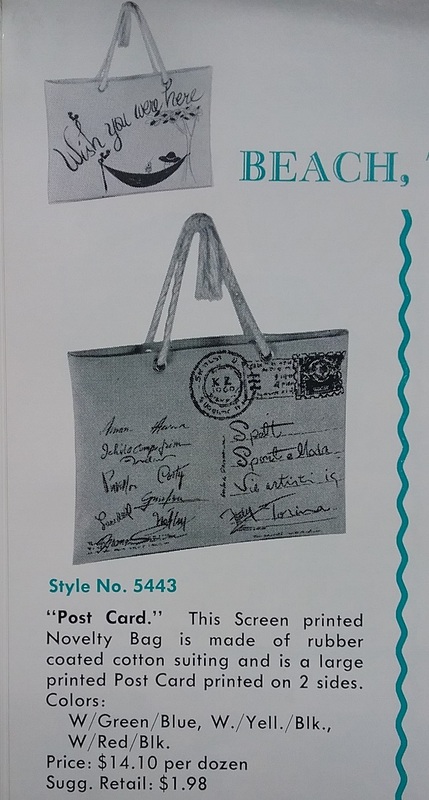 This bag has the same label (with the addition of the copyright symbol) and the same rubber lining as the 1963 duffel. 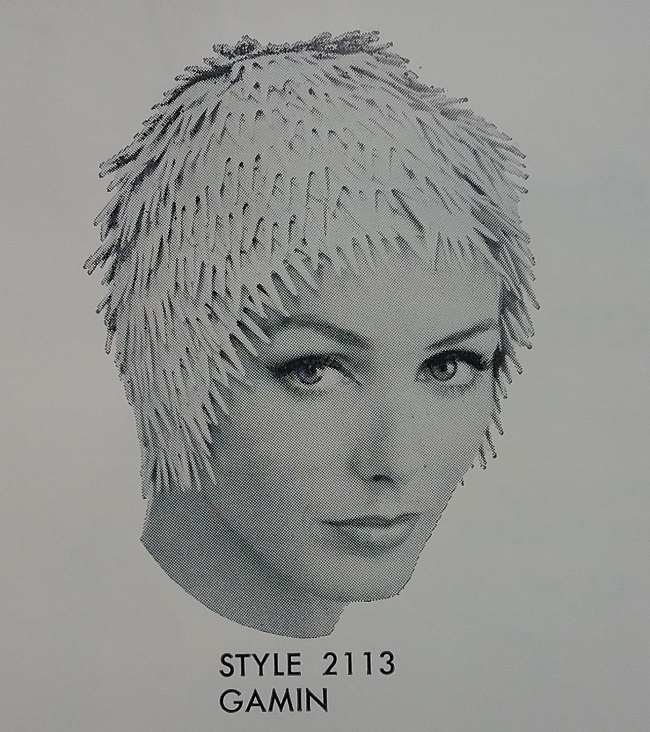 It looks like the rubber is degrading, but that is actually the original cardboard liner. The following history is copied from a post I wrote in 2011. Kleinert’s was started in 1869 as I.B. Kleinert’s Rubber Company . 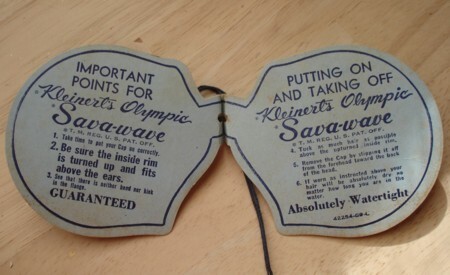 The owner, Isaak Kleinert, started the company to produce his many inventions, all consisting at least in part of rubber. The company’s fortune seems to have been made on the dress shield, little rubber crescents, covered with cotton, that were basted into the underarms of one’s frocks. In the days before antiperspirants, these little shields saved many dresses from ruin, and many misses from embarrassment! I’ve found many vintage dresses with the dress shields still in place. But Kleinert’s was not just about dress shields. 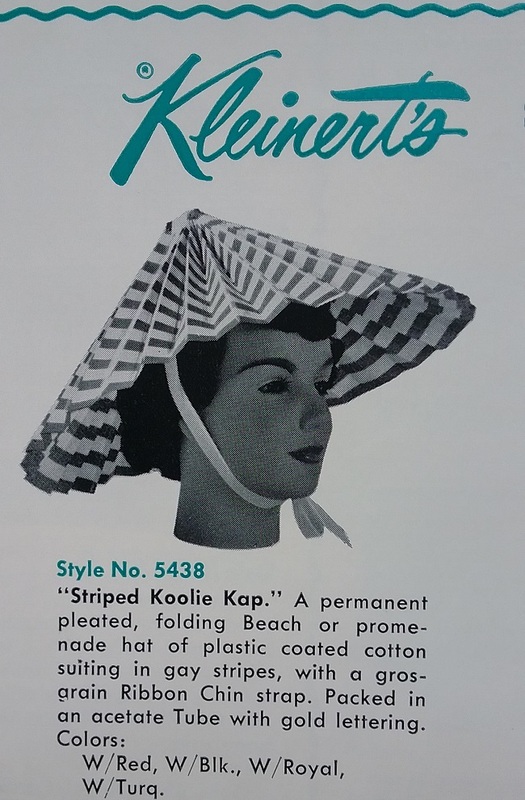 According to the Kleinert’s website, Isaak Kleinert also invented the shower cap, rubber baby pants, and the shower curtain. 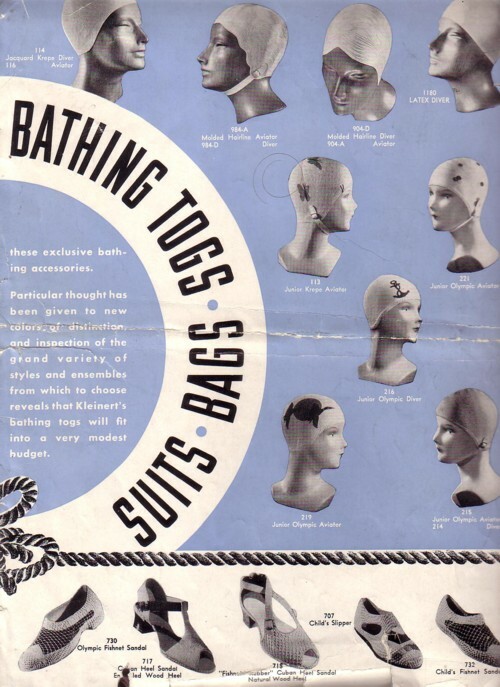 For many years they also made rubber swim accessories, such as bathing caps, shoes and totes. They even produced a limited line of swimsuits. 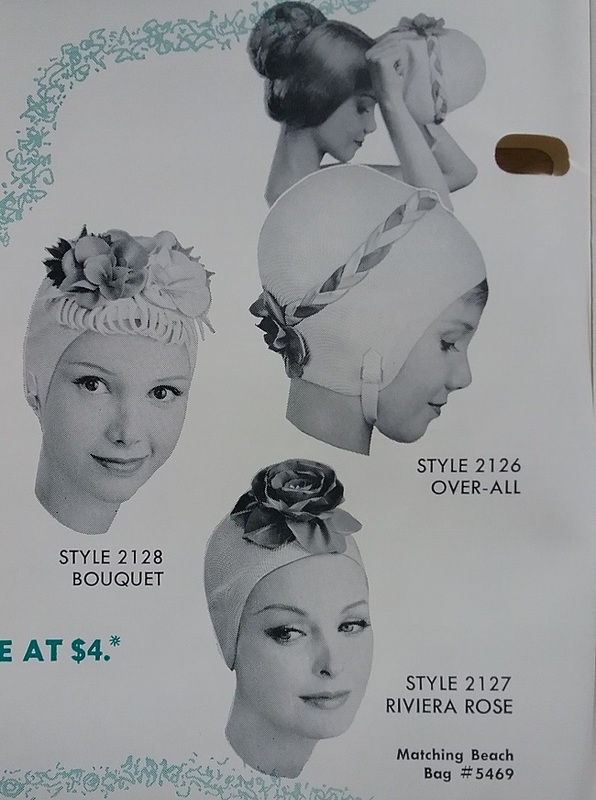 I’ve seen Kleinert’s ads for rubber-lined swim caps as early as the 1910s, and they were made at least into the 1960s. 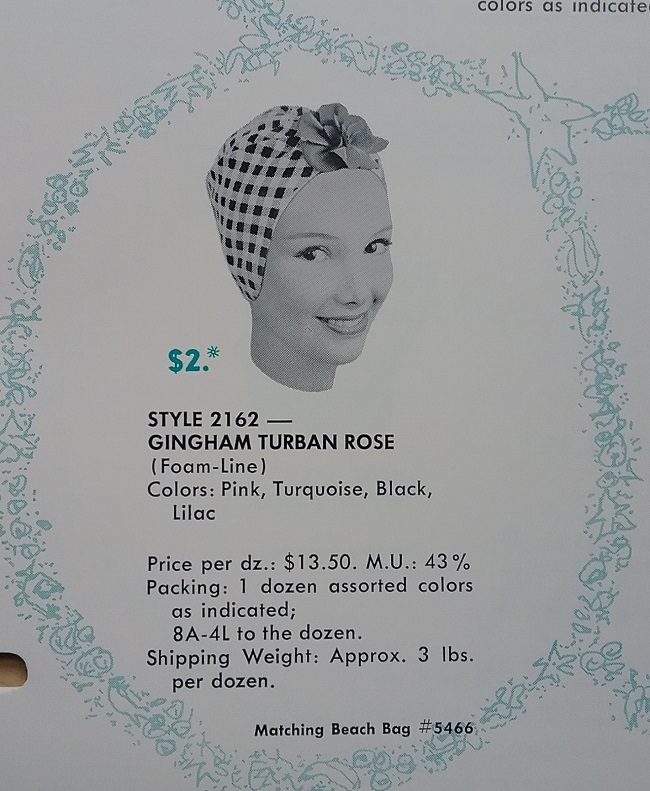 But by the 1970s, the swim cap was old-fashioned, and rarely worn except by grandmas and competitive swimmers. 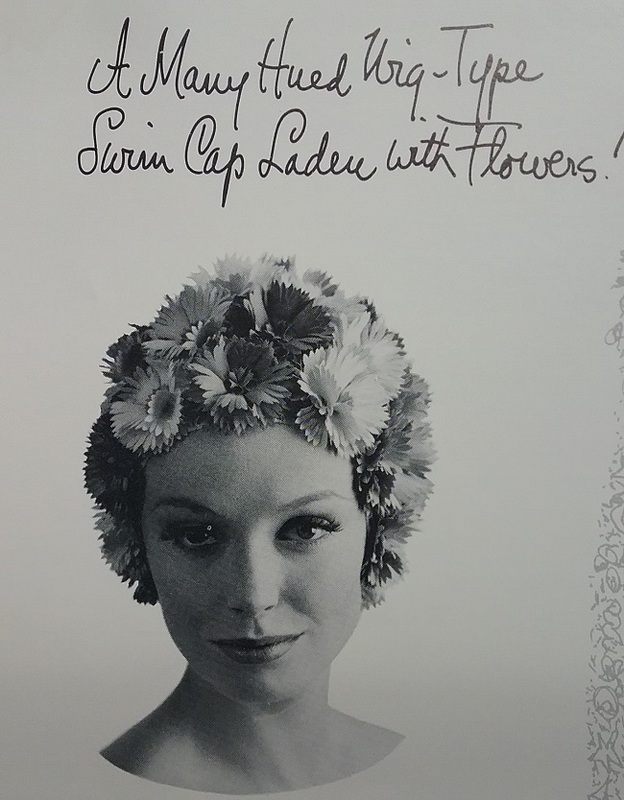 This business is still in operation, still making shields and other moisture protection products. 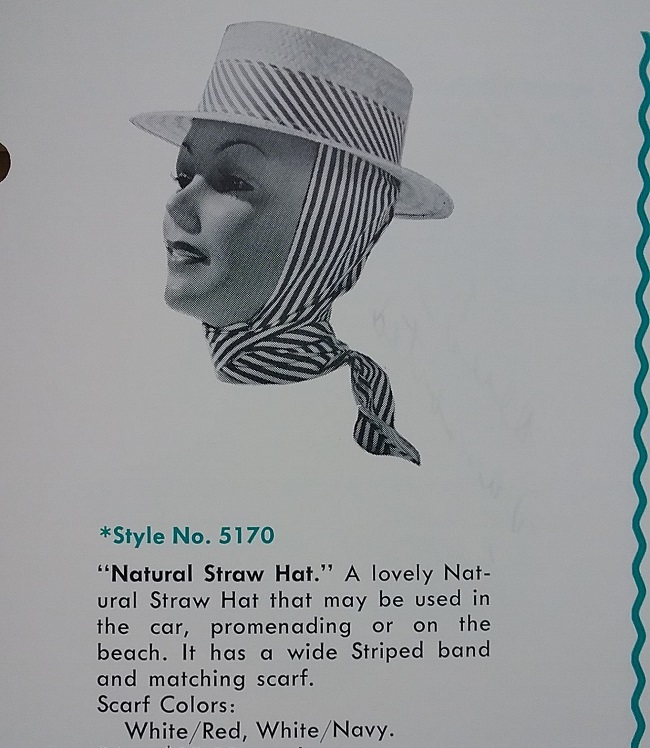 And, quite nicely, still made in the USA. 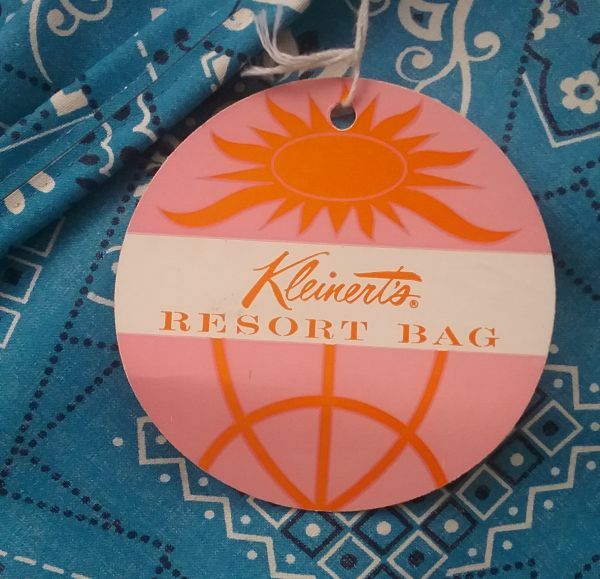 I was filing away the Kleinert’s swim accessories folder today and ran across these two things I’d completely forgotten about. 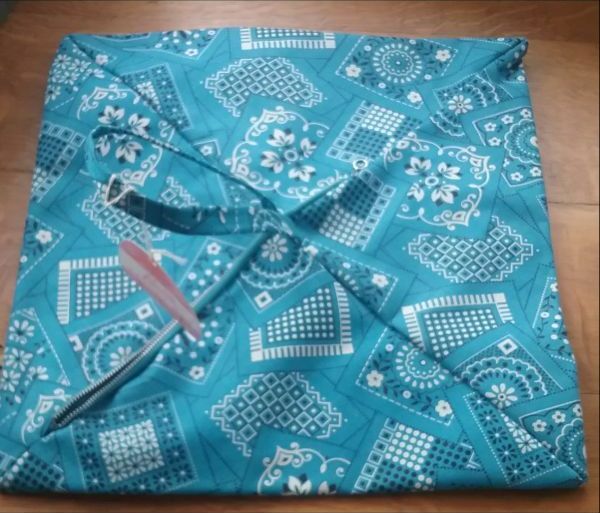 The card about was attached to a rubber band that attached to the inside waistband of a skirt or of pants, and it gripped the blouse and kept it neat! Yes, I do collect hangtags. I love the little bits of information they contain, and the fact that often so much thought went into them. 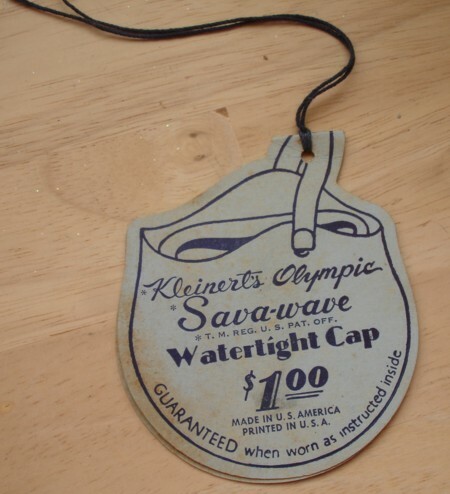 Never throw away a vintage hangtag. Send it to me; I promise to give it a good home. With accessories like these, it’s no wonder I can’t limit myself to just clothing! 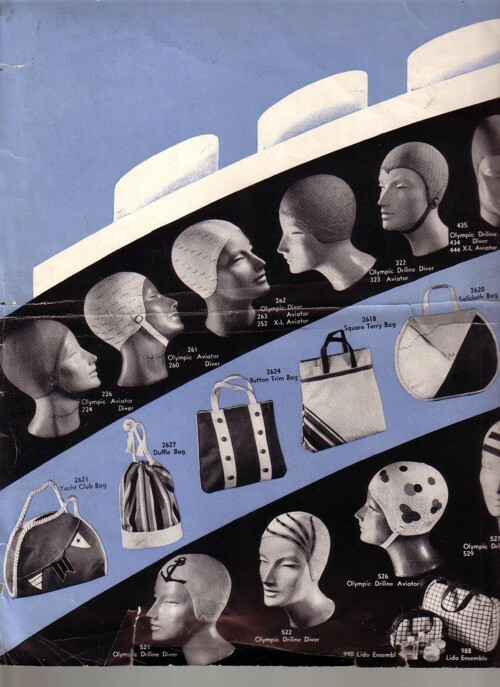 Featured today is a 1930s sales brochure from Kleinert’s, a maker of rubber items. Kleinert’s was started in 1869 as I.B. Kleinert’s Rubber Company . The owner, Isaak Kleinert, started the company to produce his many inventions, all consisting at least in part of rubber. The company’s fortune seems to have been made on the dress shield, little rubber crescents, covered with cotton, that were basted into the underarms of one’s frocks. In the days before anti-perspirants, these little shields saved many dresses from ruin, and many misses from embarrassment! I’ve found many vintage dresses with the dress shields still in place.